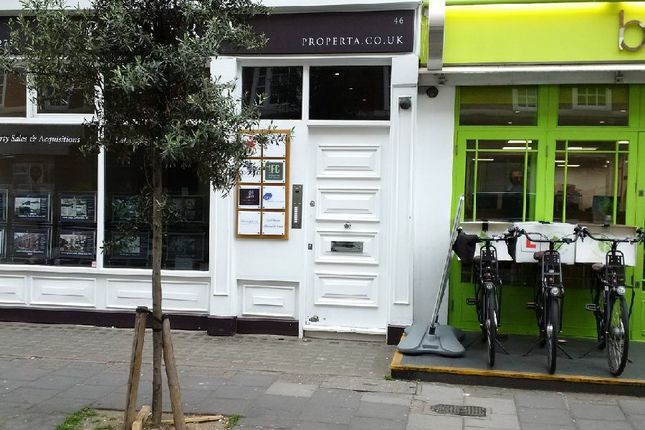 Shared office 1 desks to let at 46 Crawford Street, Marylebone, W1 - would be sharing with myself, a commercial property agent, I am often hardly there, so you would often have the room to yourself. Much nicer than most desks in a serviced office of a similar calibre that would be circa £800 per desk for the quality of space / desk/s on offer. Ground floor entrance recently redecorated in a contemporary stylish style. Situated in Marylebone between the junctions of Seymour Place and Wyndham Place, both Edgware Road, Baker Street and Marylebone Underground and Mainline Station are all within a 5-10 minute walk of the property. There is an ncp car park next door and Seymour Leisure Club virtually opposite. There are some fantastic eateries close by for lunch on our doorstep such as The Harcourt, Twist of Crawford Street to name but a few great restaurants. There is also a congestion free car park within a 10 minute walk at only £13 per day. There are various popular local restaurants and bars within Crawford St and surrounds. The office is located on the 3rd floor and benefit from excellent natural light and is finished high standard with stylish contemporary furniture giving a very homely work environment. There are kitchenette facilities and WCs within the building and free use of an external meeting room.